My understanding is that the path of gods and men is the first turning of the wheel. The Hinayana path as taught by the Buddha leading to freedom from suffering. dakini_boi wrote: Does the 1st yana, the path of gods and men, refer mainly to nondharmic religions, or can it also refer to nonspiritual paths that seek temporary benefit in the world? Where did you find this classification? Is it in Tibetan Buddhism, or did you take it from Chinese tradition of mahayana? philji wrote: My understanding is that the path of gods and men is the first turning of the wheel. The Hinayana path as taught by the Buddha leading to freedom from suffering. Hinayāna is the teaching of the Buddha, so it isn't part of the vehicle of gods and man. The vehicle of gods and man is a designation which is used to classify any path which isn't the buddhadharma. Traditions such as Christianity, Hinduism, Islam etc. are examples of worldly paths, they cannot lead one out of samsara, and are therefore part of the vehicle of gods and man. As for other relative, non-religious pursuits being classified under the vehicle of gods and man, I'm not sure. on one time Gauthama Lord Buddha explained the word " Doctrine (Dhamma) to Ven Cunda. "Cunda, my teaching is a revelation of truth discovered by myself. I proclaimed the Dhamma out of compassion for the world, for the gain, welfare and happiness of gods and men . What is this dhamma that I proclaim in many ways?" "Cunda, it is, this four foundation of mindfulness (SATHIPATTHANA), four right exertions (SAMMAPPADHANA). 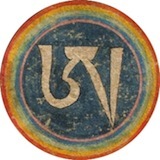 four bases of sucess (IDDIPADA), five dominent factors (INDRIYA - Convition, persistence, mindfulness, concentration and Discernment), five srenths (Bala), seven factorsos Awakening (sapta bojjanga) and the eightfold path( Magga)"
" the first excellence begins with the quintessence of the vehicles of the gods,humans, sravakas and pratyeka Buddhas"
As I understand, the Buddha does teach the "vehicle of gods and man". For example, in the suttas he taught people to practice the four brahma viharas (compassion, loving kindness, joy, equanimity) to those who are not interested in liberation but merely interested in gaining a higher birth in the brahma realms. This is the lower scope of Buddhism. Even though this path does not directly lead to liberation, at least it ensures the person has a higher birth which can be conducive to practicing the dharma - i.e. he has another chance to practice dharma in future lifetime rather than falling into the lower realms of existence whereby one no longer has any chance to practice dharma. p.s. four brahma viharas are not only meant to be practiced "by those who aspire for birth in brahma realm" - these wholesome mundane mental qualities can and should be practiced by everyone including those who aspire for liberation, it is beneficial to everyone. But by practicing this, one can gain the good karma for a rebirth in Brahma realm and be reborn there if one so aspires. Philji - To clarify, there are actually 2 different presentations of the 9 yanas - one has the Shravakayana as the first vehicle, the other has the "Vehicle of gods and men" as the first vehicle, with shravakayana/pratyekabuddhayana as the second vehicle. My question refers to the system that presents the vehicle of gods and men as the first vehicle - I believe this presentation comes from one of the Dzogchen tantras. Actually dakini_bol I think philji might be correct in the sense that the Zabtik Drolma cycle condense the nine vehicles to three vehicles. The first one condense the first three or possibly two vehicles of gods and humans, sravakas and pratyeka Buddhas. In this case the Buddha taught the vehicle of gods and humans, which then mainly is ways of creating merit and purifying bad deeds which doesn't really lead directly to liberation.